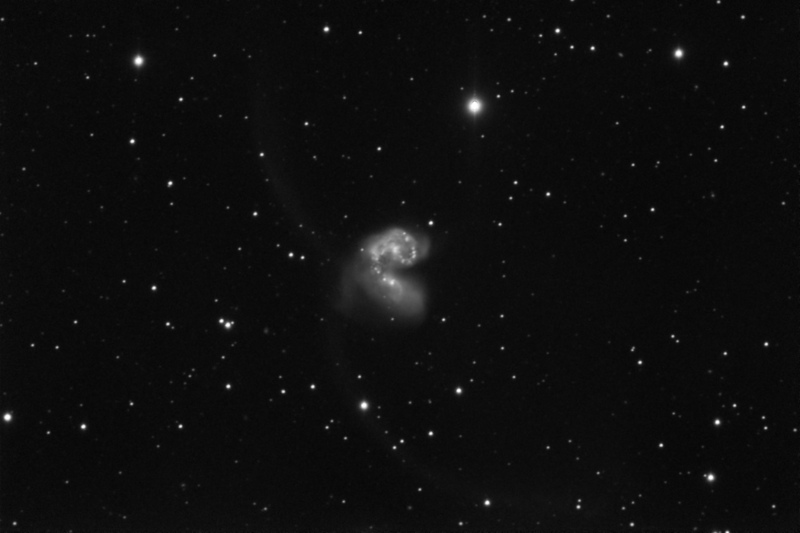 The Antennae galaxies, ngc4038 and ngc4039 in Corvus. Also, SN 2007sr (discovered 2007/12/18) Total exposure of 40 minutes. 1800mm focal length. 5 minute exposures.